HTC yesterday announced a new limited edition smartphone. 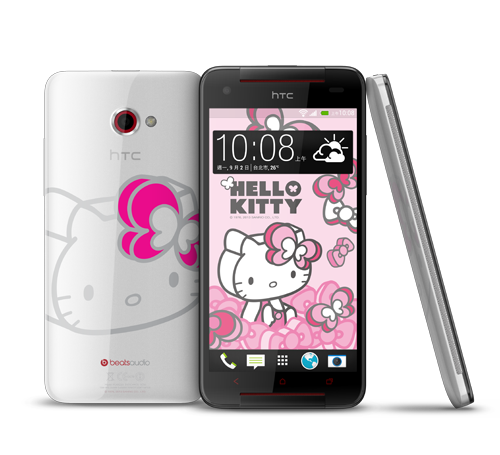 The new HTC Butterfly S will be themed with Hello Kitty and will be manufactured in limited quantities. HTC announced at the press conference that HTC Butterfly S Hello Kitty limited edition will be officially launched on September 3rd. It has a suggested retail price of NT$22,900 which is about 980SGD. It has the same price as the current Butterfly S which was launched in June. HTC Butterfly S is an upgraded version of Butterfly with a Qualcomm Snapdragon 600 1.6GHz processor, 2GB of RAM and 16GB of in-built flash storage. It has a battery capacity of 3200mAh. The Hello Kitty limited edition will be preset with 9 Hello Kitty wallpapers, making the UI to be in same same theme as the physical smartphone.